Customise your exhibition stand at the Nuremberg venue with NürnbergMesse and our service partners. Simply select your trade fair to start the configuration process. the stand configurator is not optimized for smart phones. We therefore recommend using a tablet or PC for configuration. The Server is not responding. The reason is not known. Please try again later. Feel free to contact us if the problem continues. 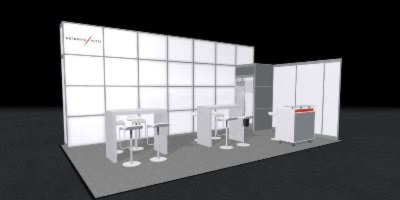 If you have booked a stand area at the Nuremberg Exhibition Center or another venue in Germany and require a professional exhibition stand, then our configurator is exactly what you need. It only takes a few steps to plan your exhibition stand including furnishings and design. Take advantage of this service from NürnbergMesse and try it out right away! You can choose the shape and size of the stand according to your requirements. Do you have a limited budget? Not a problem! Simply define your budget framework and the configurator will only suggest exhibition stands that are within your budget. There are various stand models to choose from. You will soon find out which stand design best meets your requirements. Simply click on the exhibition stands to obtain a clearly presented 2D view of the respective stand. Once you have selected your stand you can adapt the furnishings and fittings to your requirements by simply dragging and dropping or via the selection function. For example, if as well as an information counter you would like a comfortable sofa for confidential conversations with customers, and then select the sofa you require and drag it to the desired location. You also have the possibility to choose the colour of the stand and incorporate your logo and custom lettering to ensure that your stand reflects your corporate image. Display your stand as a clearly presented 3D view at any time. This will give you an impression of how it will look at the event and allow you to make any necessary adjustments. Why plan your own exhibition stand with the NürnbergMesse configurator? Because we have many years of experience and extensive knowhow in trade fair construction. NürnbergMesse is a trade fair company that operates internationally. It not only organises trades fairs but also provides venues for other events like company functions or congresses. To give our customers the best possible support for their trade fair exhibit, we also offer services relating to exhibition stand construction. Because alongside expert stand personnel, a professional exhibition stand is the key to your company’s success at the trade fair. We know from experience that for many exhibitors a standard exhibition stand that can be customised is the ideal solution. That’s because it can be configured much more quickly and is therefore considerably less expensive than an individual custom-built stand. 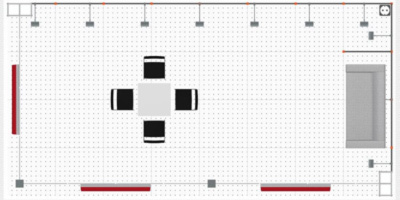 This is why we developed the stand configurator, so that you can quite simply plan your exhibition stand by yourself. Naturally, we can also provide a completely custom-built exhibition stand for you on request. Simply submit your inquiry via the configurator. Would you like to plan your exhibition stand with us? 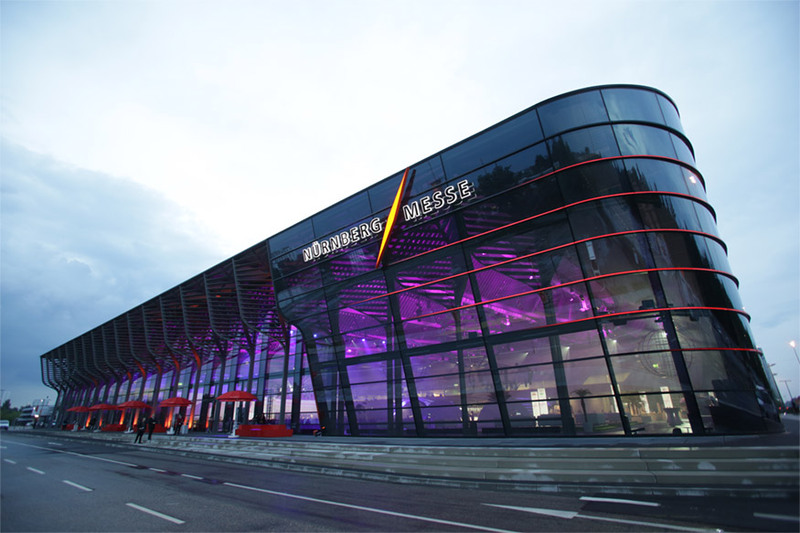 NürnbergMesse is one of the world's 15 largest exhibition companies. Its portfolio encompasses some 120 national and international trade fairs and congresses and about 40 sponsored pavilions at the Nuremberg location and around the globe. Every year, around 30,000 exhibitors (international share: 41%) and up to 1.4 million visitors (international share of trade visitors: 24%) participate in the own, partner and guest events put on by the NürnbergMesse Group, which has subsidiaries in China, North America, Brazil, Italy and India. The NürnbergMesse group also has a network of about 50 representatives operating in more than 100 countries.